It is certainly not a destination around the corner where you can spend a weekend, but certainly the Bellarocca Resort will be taken into account for a major trip, the kind that you make to celebrate great events, or for a nice gift. The island that houses the facilities of the hotel reminds somewhat close to Aeolian Islands, with its low houses, white and a little square, decorated with pergolas and porches. The only difference is that to get to Bellarocca you need several hours by plane and thousands of miles. The resort has 50 rooms and 11 villas, overlooking the sea and is immersed in lush vegetation, lit by colorful bougainvillea that create the atmosphere of a Greek island (or by Aeolian choice). 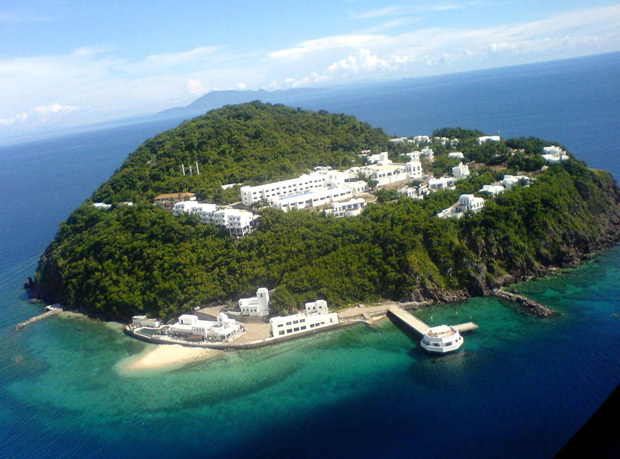 The rooms cost about $ 375 per night: the rate includes transfer from the island of Marinduque but not the breakfast which is proposed to be $ 15 (given the isolated location, I would say that this is a proposal that you can not refuse!) . Those who do not appreciate this great sea because they fear sharks, jellyfish killer or the effect of salt on the skin, they can count on the beautiful and scenic infinity pools with jacuzzi. If you want to taste the feeling of being in this amazing island you can just take the VIRTUAL TOUR!